Every five to ten years the US government is charged with the duty to pass a new Farm Bill. The Farm Bill is a piece of legislation that guarantees vital funding for nutritional assistance programs, crop insurance, farming incentives and subsidies, etc. The updated version of this monumental, $867 billion piece of legislation was passed in December 2018 with strong, bipartisan support. It can be hard to see how bills with such a large scope affect individual communities or even individual states. This bill directly affects Florida in several ways, which will be delved into below. First, it would be prudent to analyze what is inside of this bill and where all of the money is going, generally. In addition to strengthening programs that were already in previous versions of the Farm Bill, several new programs and initiatives were included and older ones were revitalized. These provisions include money to be provided to: The Specialty Crop Block Grant Fund (SCBGF); the National Animal Health Vaccine Bank (NAHVB); revisions to loan programs, lowering interest rates for farmers; the legalization of commercial hemp farming; the provision of permanent funding for veteran and minority farmers; and multiple other programs. The SCBGF is a program that protects farmers growing “specialty” crops. Specialty crops are crops like citrus in Florida or peaches in Georgia. The Farm Bill provides funding to combat the unique problems that may arise when growing specialty crops (e.g. 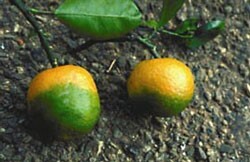 citrus greening in Florida). The NAHVB is geared toward the general health of animals and livestock. Under this iteration of the Farm Bill, the NAHVB will be placing an emphasis on addressing Foot and Mouth Disease (FMD). FMD is an extremely contagious disease among cattle and other such cloven-hoofed animals. 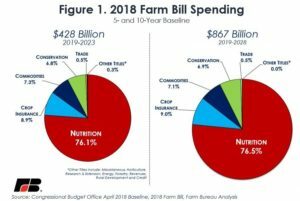 The Farm Bill has met the full funding request of $250 million, however, only for the fiscal year of 2019. Loan programs for farmers have been fortified and expanded under the Farm Bill. The USDA’s Farm Service agency (FSA) handles financial assistance for farmers by providing loans for equipment or other operating costs that might be incurred. The FSA’s microloan programs, which have been lauded, will be continued under the new Farm Bill. Further, the bill will lower interest rates on several different types of loans as well as prioritize loans to new, younger farmers. Commercial hemp cultivation will be legalized and insured under the new bill. This provision of the Farm Bill means that hemp is no longer classified as a schedule 1 substance under the Controlled Substances Act. Albeit with strict restrictions, hemp with a low enough THC content can be farmed and sold across state borders. This could benefit tobacco farmers that are seeing a decrease in demand volume greatly by way of giving them a new, quickly maturing crop to cultivate. Further, the bill does not legalize CBD oil generally and has no effect on the legalization of marijuana. Voting on the bill by Floridian politicians was largely bipartisan, though not unanimous. Bill Nelson, outgoing Democratic senator, voted for the bill while Republican senator Marco Rubio voted against it. Of the House Representatives, 4 Republicans and 3 Democrats voted against the bill out of the 27 House Representatives from the state. The new Farm Bill garnered support from many Floridian industries and associations, such as the Florida Farm Bureau Federation, Florida Peanut Producers Association, and the Florida Cattleman’s Association. Floridian politicians expressed their support of the bill as well. 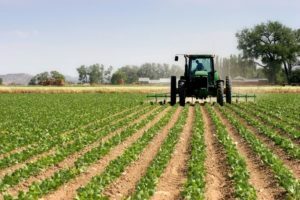 Adam Putnam stated, “For the first time in a farm bill, resources are directed toward controlling the diseases and pests that threaten Florida agriculture.” In opposition, however, Senator Rubio claimed that the bill “fails to do what is necessary to protect farmers, working families, and taxpayers.